Dave Dalton, Professional Distance Sled Dog Racer, (Healy, Alaska) provides the following proposal for sponsor partners. 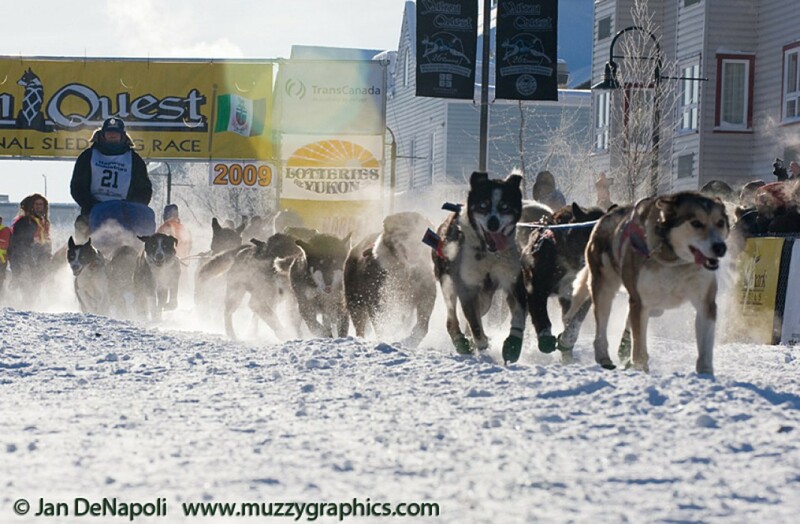 This sponsorship would be to cover the cost of a full season of training and support to participate in The Yukon Quest International Sled Dog Race. Travel Expenses to be provided to any location required, to attend public speaking engagements and educational appearances at schools and other venues as agreed. Exclusive sponsorship as the Lead Sponsor for the team. Use of the Dalton Gang team image and pictures for company promotions. The right to use race and training film footage for company promotions. 4. Corporate signage and logo placement on the Dalton Gang Racing Team transport and team racing equipment and apparel. Corporate identification will be displayed at all venues attended by the team. Use of Dalton Gang Racing Team image on advertising on the Sponsor’s web page. Recognition as an Official Lead Sponsor at any public function and in any public remarks or interviews. Use of Dalton Gang images in advertising in local (Alaska and other local venue) media. Participation in all VIP receptions and availability for hospitality functions. Participation as a spokesperson for Sponsor’s products and services and as Sponsor’s public service and educational speaker. Availability of Dalton Gang promotional race merchandise. Other mutually agreed activities and promotions as may be decided.